Want to know who fixed your neighbors roof ? Want to know if the house you're buying has had expensive work done ? Curious how much others in your neighborhood paid for flooring installation ? Visit www.checkpermit.com and type in the address. We'll scan for permits in the surrounding area and give you detailed information about who's getting work done and how much your neighbors are paying. 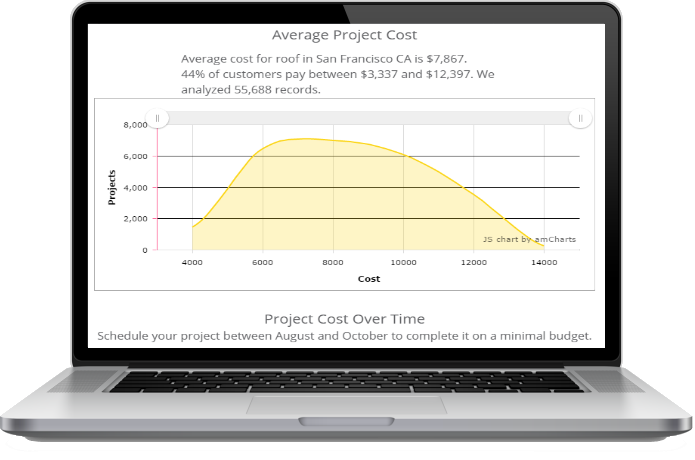 CheckPermit helps you save money by calculating the average project cost in your area. Don't overpay, check our analytics tools to see that your neighbors paid for their projects. Our trusted contractors completed many residential and commercial projects. We analyzed 30 million home renovation projects at 4 million addresses over 300 cities. Simply click on the blue point at the map to explore building activity in your neighborhood. CheckPermit is driven by data. Our dataset includes over 30 million building permits spanning across 4 million addresses in US. We analyzed and ranked over 1 million house remodeling contractors and helped over 300 thousand customers. We evaluated over 1 million contractors in the US. Have a look at some of the best contractors in San Francisco, CA area.